um, hello? where did August go? where did the whole summer go? I can't believe I'm sitting here in riding boots and a scarf already. I actually used my car starter this morning. That chill is definitely in the air. Not that I'm complaining. Just the opposite. I love my boots and scarves and layers. I love the clean, refreshing, cool air. I love that the leaves are turning various shades of gold, and copper. Everyone seems to be in a fall loving mood. It's that changing season where we all make new goals for ourselves, change our wardrobe, maybe a new haircut. It's all just so good. 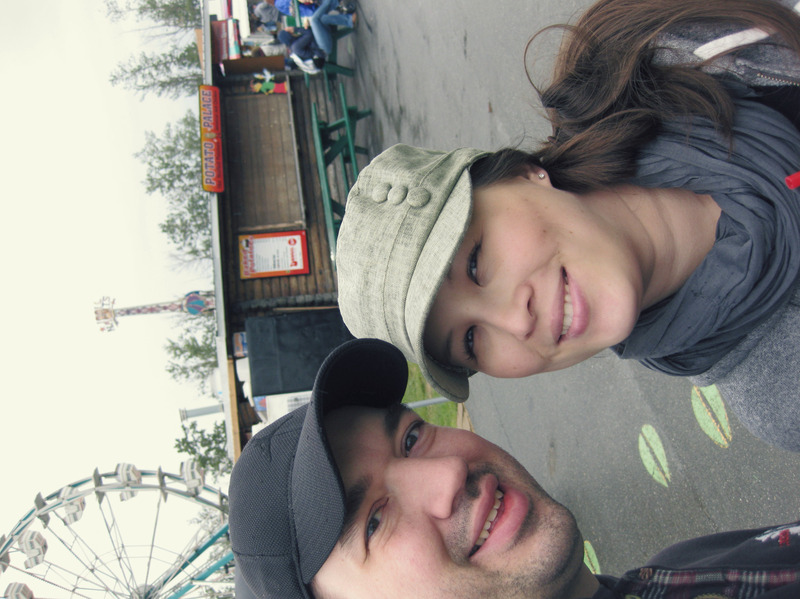 We celebrated our last weekend of summer at the state fair. Out of all the gooey, cheesy, fried foods, I craved Hawaiian shaved ice the most. Not that I didn't indulge in those delicious fried foods but that flavored ice was the best. These craving are so weird. I can't even described how good something tastes when I crave it like no other thing. Didn't really get much picture taking done. Wasn't about to lug my Canon around in the rain. I did manage to take a few Polaroids though. Funny thing is none of them are ferris wheel shots. Most are just flowers. I don't really go near the rides while we're at the fair. I'm mostly admiring the gardens. Speaking of Polaroids, I've had a few emails about whether or not I'll have 2011 calendar. I'll also be taking pre-orders since they sold out so quickly last year. I'm hoping they'll be available to ship by October. I will also be offering a mini version of the calendars as well.